This week of recovery has turned out to include a lot of sleep. I yawn most of the day and then anytime I sit still I pass out. I can’t seem to get enough sleep. My hips were the only real soreness after the race and after a couple days it’s a mild, dull ache. 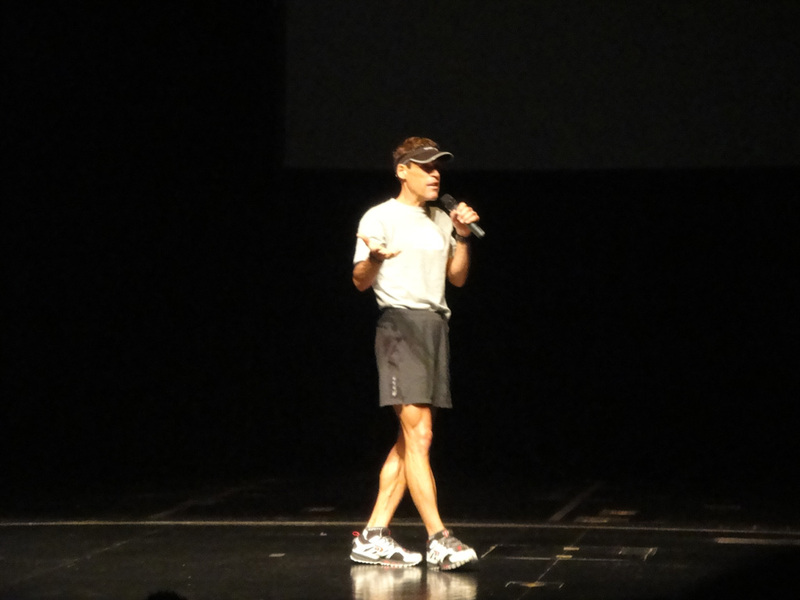 Monday we returned from Chicago and saw Dean Karnazes speak at ISU. Tuesday I rode the Exercise Bike Easy for 30 Minutes. Wednesday passed out on the couch and tonight I ran 4 Miles Easy on the Treadmill. It felt so good to be back at it! At the same time, it’s funny how long 4 Miles on tired legs can feel. It felt like a long distance run! 🙂 The rest of the week will be more light miles. It’s good to hear that you’re feeling pretty well after the race. 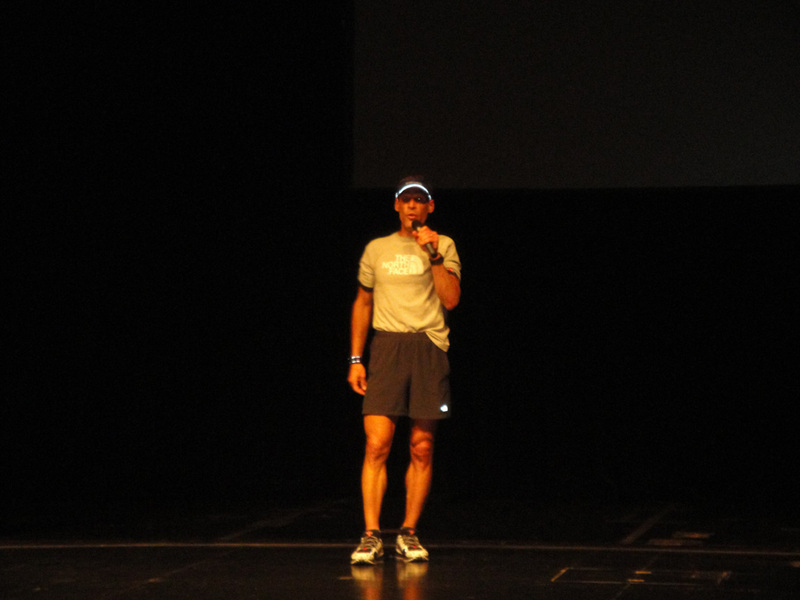 Dean Karnazes would be fun to hear. I can’t believe he’s going to do a marathon in every country…much less in one year! That will make an incredible book. Totally! It should be an awesome documentary. Glad to hear you are feeling better. Does it usually take a week to recover from a marathon? If it takes you a week, I am thinkning I might be on the couch for a month after my half! At least I have an excuse. 😉 J/K. Hehehe 🙂 Yeah I feel okay and then when we go out for a recovery run I’m feeling how sore my muscles and joints are. Glad you are taking it easy and recovering well! You deserve the extra sleep. Your body worked hard for a long time! Thanks Rebecca! I hope I can some day put in workouts like you do! You are a rockstar!